MADRID (Sputnik) - Spain hopes that it will reach an agreement with the United Kingdom in October on the status of the UK territory of Gibraltar after Brexit, Spanish Prime Minister Pedro Sanchez said on Thursday. According to Brexit guidelines, once the United Kingdom leaves the union, no EU-UK agreement "may apply to the territory of Gibraltar without agreement between the Kingdom of Spain and the United Kingdom." Bilateral talks between London and Madrid regarding Gibraltar have been underway since the beginning of the year. "We hope that in October we can reach an agreement on Gibraltar with the United Kingdom … We have some difficulties, but I think that there is a desire of the UK government to reach an agreement by mid-October. We are close to concluding an agreement, but during negotiations, it is always difficult to reach an agreement until the last minute. The UK government has a constructive approach," Sanchez said at a press conference on the results of the informal EU leaders’ summit in Salzburg, aired by the 24 Horas broadcaster. The ruling Spanish Socialist Workers' Party has picked up the same approach that was used by the former cabinet and aims to get a deal that would cover a transition period with regard to relations with the United Kingdom, according to the official. "We must reach agreements on cooperation between law enforcement agencies, in the field of legal cooperation, to reach agreements in the field of environmental protection, in the tax sphere, on tobacco, and most importantly — respect for the rights of the residents of Gibraltar and Campo de Gibraltar. Also extremely important for us — the obligations of Gibraltar in the socioeconomic development of Campo de Gibraltar," Sanchez underlined. 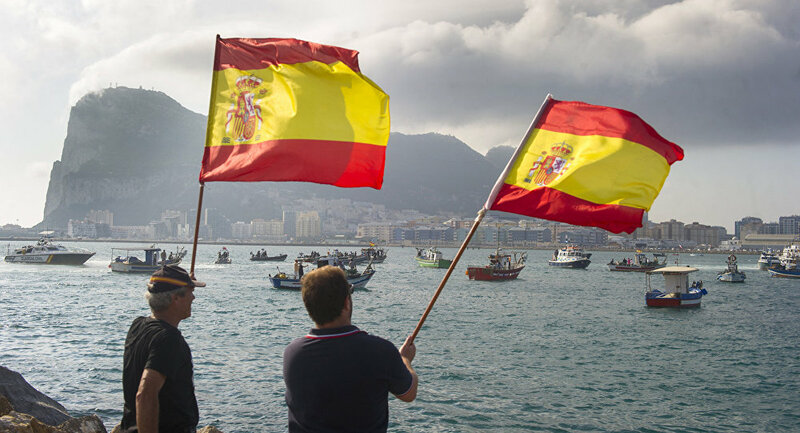 Spain has repeatedly expressed its determination to use talks with London to the benefit of its citizens living on the border with Gibraltar or working there, especially those residing in the Spanish comarca of Campo de Gibraltar.